Brand Naming: Do You Need to Change What You Call It? The phrase “A rose by any other name” was coined by William Shakespeare in Act-II, Scene-II of Romeo and Juliet. Juliet says “What’s in a name? That which we call a rose, by any other name, would smell as sweet” in reference to her family, and the family name of Romeo. In essence, she says a name cannot affect what something actually is. This line is, in reality, very profound, suggesting that a name is just a label to differentiate and distinguish one thing from another. On the contrary, our brand consultants argue that brand naming is no small matter—every change you make to your brand signals to the market that things will not be as they were, going forward. A strategically selected brand name commands attention and can convey immediate and implicit value. A brand name instantly generates thoughts of the many elements that make up the brand in consumers’ minds—from your brand promise and brand mission to your brand voice and brand personality. Together with the logo, the brand name is the single most recognizable element of a brand’s identity that can make or break your brand recognition. So, what happens when your brand name is no longer serving your business goals or helping you connect with your audience? It might be time for a change. FedEx (Federal Express), GE (General Electric), IBM (International Business Machines), and KFC (Kentucky Fried Chicken) all continue to do well many years following their name changes. In each case, these brands wanted to communicate that they had broadened and even evolved their products or services to meet the changing or shifting needs of consumers and the marketplace. They all leveraged a name in a way that was intuitive and reflected how consumers might already be referring to the brands. In 2014, CVS Caremark announced plans to change its name to CVS Health, as part of its efforts to transform itself into a health-focused company. The move came as CVS announced it was ending tobacco sales in its stores. Looking to position itself as the nation’s premier health innovation company, CVS completed its acquisition of Aetna, one of the nation’s largest health insurers, in 2018. In 2017, Restoration Hardware changed to RH—eliminating the word "hardware" from its name— as the company looked to emphasize its place as a "lifestyle" brand that also sells baby products and outdoor products. Said CEO Carlos Alberini when the change was announced, "RH enhances our identity and moves us beyond our Hardware store beginnings." RH began opening up “RH Galleries,” expansive museum-style stores, to reflect its newer identity. In more recent moves, both Dunkin’ Donuts and Weight Watchers are changing their names; Dunkin’ Donuts to Dunkin’ and Weight Watchers to WW. The Dunkin’ evolution comes 12 years after Dunkin’ Donuts’ well-known tagline “America Runs on Dunkin’.” It’s already familiar in consumers' minds as a shorter version of what the brand stands for in consumers’ minds. Dunkin’ Donuts wants the brand to be more recognized for coffee and other beverages and less connected to unhealthy treats—part of a strategy to stay relevant to younger customers. Dave Hoffman, CEO of Dunkin’ Brands and president of Dunkin’ U.S. announced, “This isn’t a change for the sake of change. Our new branding is a clear signal that there is something new at Dunkin.’ It says we are a dynamic, on-the-go brand yet still pays homage to our great heritage.” In other words, their renaming communication to the market was that their core business was fundamentally the same—just newer and fresher, and in sync with the demands of the times. Weight Watchers’ aim is also to show that it is keeping up with the demands of the times as the body positivity movement is on the rise. However, it is asking consumers to think about the brand in a completely new way and to associate it with a name that is six syllables long and more suggestive of two world wars than anything having to do with well-being. The new tagline, “Wellness that works,” supports the brand’s new positioning. However, delivering on the positioning has been confusing consumers who have always associated Weight Watchers with point values for food and “weigh-in” meetings. Your name is a powerful part of your brand and choosing a great brand name can help you differentiate in a crowded market, position you as a leader, and potentially explain what you do in a word or two. 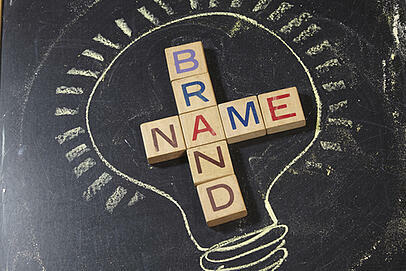 Conversely, a weak name can neutralize or even negate the work you do to build your brand and market position. Before deciding to change your name, make sure you are doing it for the right reasons. If you’re considering shifting the focus of your brand or changing your name, our brand consulting partners can help.